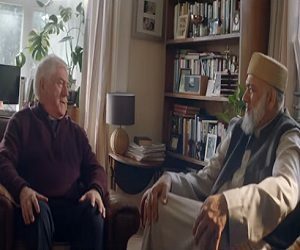 Amazon Prime has released a new advert, featuring a priest and an imam who meet for a cup of tea and discover they share the same problem. The 80-second spot shows how, immediately after their encounter, the two decide to do something about their knee pain, and visit amazon prime using their smartphones to order a medical knee brace. Once the item is delivered, they start using it and their life becomes easier as it is no longer an effort for them to get down on their knees in the church and mosque, respectively. The track used in the ad is Ludovico Einaudi’s “I Giorni”.